How to subscribe for COMEDK & BLDEU-PGET? How to subscribe for Kerala PGMEE? The amount of the posterior pharynx one can visualize preoperatively is important and correlates with the difficulty of intubation. A large tongue (relative to the size of the mouth) that also interferes with visualization of the larynx on laryngoscopy will obscure visualization of the pharynx. 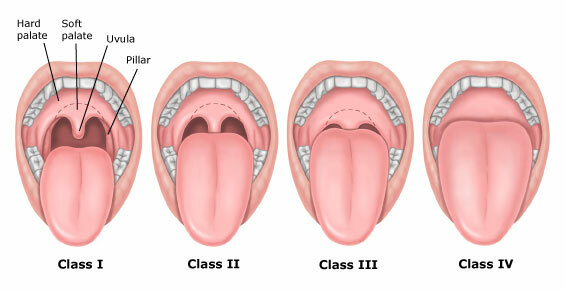 The Mallampati classification is based on the structures visualized with maximal mouth opening and tongue protrusion in the sitting position. Image Source : The above image is chosen and displayed from the web. This image do not belong to Gate To Medicine. The author is the responsible owner of the image. We believe that this image is helpful for your learning. Call our friendly team now! Call 0487-6999902 or 9633-760-602 to have a friendly discussion of your medical PG study requirements. Gate To Medicine © 2019. All Rights Reserved.